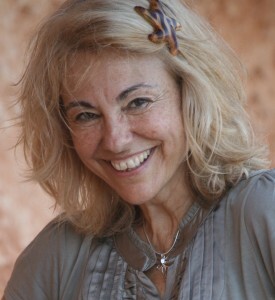 My name is Raquel Torrent, a Spanish woman that has been introducing and developing Integral Consciousness in Spain since 2003, thanks to my work as a psychologist, Integral counselor and teacher. On top of that I am a clear example of a dream come true. Often, people have an extraordinarily positive experience when first encountering Ken’s work. It truly is an “awakening” to an authentically holistic, integrative, and integral way of understanding the Kosmos, and many people experience tremendous joy at this discovery and realization. The natural impulse is to then go try and transform every aspect of your life to fit this stunning Integral Vision! At some point, most people then run into “the real world,” and when they cannot make their job, their family, their education, their government, expand into more integral ways of being, it is easy to become discouraged and even depressed. Because Integral thought is so wonderfully comprehensive in nature, you can all of a sudden feel utterly overwhelmed by just how clearly you can see the partial, fractured, broken aspects of life all around you. Where the Integral Vision first revealed glorious wholeness everywhere you looked, that same Integral lens can then reveal a world of fragmentation and discord in all directions! How am I supposed to be excited about Integral ideas when my actual worldly reality is economic agony, political vitriol, and environmental disaster? For those of you who do not know Colin’s story, he was just 15 years old, when his mother gave him a book from someone named Ken Wilber in an attempt to finally pacify his active mind concerned with deep philosophical and spiritual matters. His mother could not give him the many responses that he was demanding and thought that such an author will calm him down, give him answers and help him place the many questions he had in a comprehensive map within his reality. And she was right! In fact, when Colin became 19 years old, he was ready for the biggest and deepest encounter of his life. He met Ken Wilber himself and became his own right hand. Since then, he has learnt tremendously in all senses as Ken has been like a master, a friend, a mentor, even a father, and therefore the greatest inspiration for his already developed soul. He has been a member of the Integral Institute Board of Directors since 2005 and was centrally involved in the creation of Integral Naked, Integral Spiritual Center, the I-I Multiplex, and Integral University. After Ken suffered several life-threatening medical events in 2006/2007, I experienced four years of constant, debilitating physical, emotional, and spiritual suffering. I wanted many things to be different than they were, and I suffered intensely as a result. Every single effort I made to “make things better,” made things much, much worse. I had been familiar with non-dual “Great Perfection” teachings up to that point, but that was in no way what I was experiencing. The only thing I could do was give up, surrender, and have absolute faith in Reality itself. Because of the extraordinary support I received from my partner Andrea, my fellow assistants Brian and Mike, and of course Ken himself, the fruit of this transformation is now shining brightly. When I met Colin, just one year before this, he touched my mother’s heart as if it would be my own spiritual son. A beautiful relationship grew between us. Since that “special encounter”, I offered Colin to come to Spain, firstly just for visiting and afterwards for teaching, as I was seeing him over the years become fuller and wiser. Those invitations kept on being presented to him during 8 straight years until again the dream became true at the beginning of December 2012. With the occasion of the course created by Ken Wilber “The five reasons why you’re not enlightened”, and taking the advantage that he was going to come to Europe to teach it, I invited him over to present in Spain first. I wanted to offer him some “rehearsal ground” before his teaching in Moscow and it ended up being a very full seminar in Madrid with 33 people from the Integral Community. In my life and in my teaching, I focus on cultivating a state in which “nothing need be done.” There is nothing to do within the Great Perfection, because there is nothing that need be accomplished. Supreme Enlightened awareness is always-already entirely complete, achieved, ensured, and spontaneously present. This is the context in which we will explore Ken’s extraordinary AQAL Integral model together. This is the state in which every activity of Integral awareness is the perfect expression of Awakened identity. Just because nothing need be done, doesn’t mean you don’t do anything. Just the opposite. You are finally Free to meet the needs and challenges of life, because you are no longer trapped within it. Action, activity, connection, and responsibility flow naturally from that infinite Source that cannot be exhausted. For me, personally the experience of being with Colin has been very rewarding in all senses of the word. I could not ask for anything better. It was perfect. Every minute of it. I have really had the experience of LOVE with capital letters, as I would say that Colin is the manifestation of individual and collective act of love for the mere fact of being there: His presence is uplifting and enlightened. What it doesn’t mean that his shadow doesn’t ever appear. It does. What I love is that it is an enlightened shadow, if Ken permits to call it so. Embodied Integral Spirituality has landed in Spain, as the book was published in 2007 and Ken unfortunately cannot travel. Thank you, Colin. As Ken often says, “It’s better to light one Integral candle than to curse the darkness.” Yes indeed. What Ken also says, just as often, is that one should endeavor to discover one’s own True Nature as radiant, eternal, infinite Spirit—and then, with wisdom and compassion, dignity and grace, work to transform this suffering world with the power of Integral awareness.